Hemamushi Nyudo (, Hemamushi Nyudo) is a Kyoto yokai whose entire body is covered in a striped pattern. He took control of the yokai guarding the skies above Kyoto after their commander Hakuzozu surrendered. 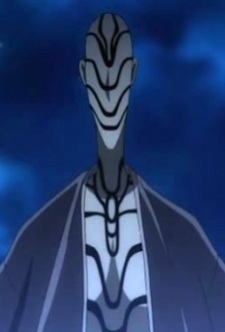 Using his stretchable body, he wrapped himself around Takarabune in a tightening vicegrip with the intent of causing the Nura Clan forces to crash. However, he was sliced to pieces by Itaku's Rera Makiri technique.